I read a lot…I've said that before and I'll say it again. I try to flood my mind with a wide variety of books and articles. I want to purposely stretch my thinking by purposely reading things that I perceive initially with which I will vemiently disagree. That's OK and good by my book…I acknowledge the paradigms that we all get stuck in…and sometimes new truth is revealed in the midst of challenge. That's important…good debate is healthy especially if you attempting to grow. Over the past few years, MANY MANY MANY in and out of circles of followers of Jesus have been pointing out the secularization of culture. We understand that…we can mourn it…we can argue with it…we can deny it…but it is true. Culture has turned over the past decades. Post-modernity and Post-Christendom are alive and well. They have made HUGE impacts on our world and on the viability of traditional institutional (as well as personal) religious experiences. No one can deny that. In addition, all of us would agree that skepticism and aethism are growing at exponential rates. I can't even begin to tell you how many books and articles have been released over the last few years (Gabe Lyons and Bill Kinneman have written and taught extensively on that issue) on the growing impact of secularization and an intentional move away from institutional religion and Christian faith/worldview by scores of young people. Every denomination understands that reality. "…religious belief is widely viewed in American as a good thing, a reliable sign of moral character and trustworthiness. This leads to the corollary that bigotry perpetuated in the name of religion is somehow more justifiable or more deserviing of respect than any other kind of bigotry, which has excused countless outrages against human dignity and equality. The new atheists seek to defeat this harmful belief at its source." "To accomplish this, we believe it's necessary to shock people out of their complacency by pointing out the evils that religion can cause and is continuing to cause." "…the New Atheists believe that everyone is better off when personal morality is based upon reason and conscience (ed. note – where does that come from? ), NOT obedience to ancient texts and unelecte authority figures. We believe that the Bible and other religious texts are outdated and archaice at best and deeply morally flawed at worst and that as long as we treat these texts with a reverence they don't merit, they'll be perpetual engines of extremism to people who take the time to read them….our claim is that be weakening the power of religion, both religious liberals and secular humanists stand to gain." I'm going to leave you to draw your own conclusions. 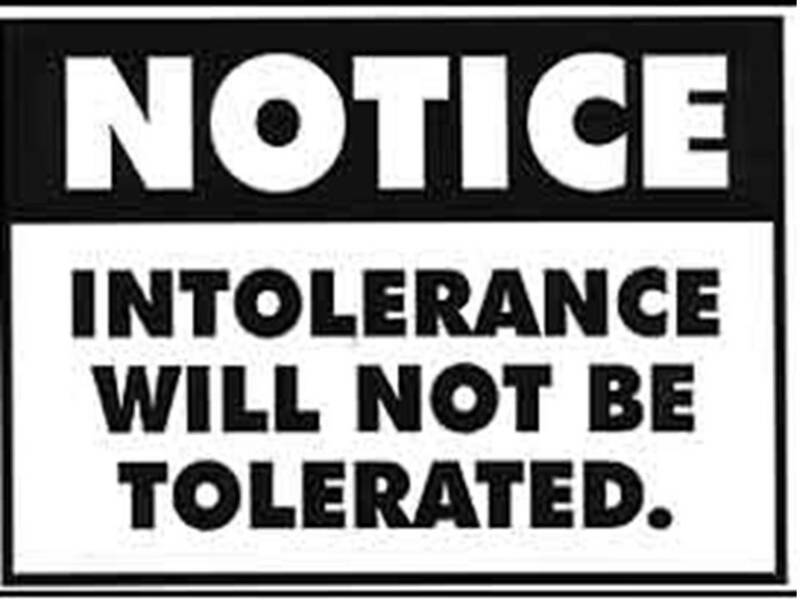 I've been seeing more and more culturally the hostility and aggressive attitudes of those who proclaim tolerance. Militantly "they" are going after people of faith intollerantly…maybe they feel justified in doing so given the weight of human history…I don't know. But it is unmistakable that there is some sort of agenda behind the scenes although I don't want to give any credence or any abundance of time to attempting to figure that out. I'll let that go and be handled by a power much bigger and much more just than me. What I do know is that for those of us who are cultural observers, this is the new reality. People who most plead for tollerance or often those who are most intollerant. Those who would like to find acceptance are often those who are the most unaccepting. Those who say they are standing for freedom are often those who are unaware of the fact that there views are injected with authoritarianism and hints of totalitarianism. Make no mistake…there would be those who would outlaw religious beliefs…there are those who carry the contemporary torch of those philosphers and political thinkers who wrote, thought and acted on an intollerance toward religion. Now, for those of us who love Jesus and love the truth and live the Kingdom of God, our call and challenge is not to stand in hypocricy or come against this intollerance with a combative spirit. Our call is as it has always been – to be salt and light and to let God deal with the world as He sees fit. As I said above…"just sayin." I've been sitting here at my home dining room table thanking God for the powerful and important VBS/Soccer Camp that occurred through my faith community last week. There are many things I would like to share with you about the camp, important things because they are formational…in other words, these deliberate actions by the people in our faith community are shaping what God is enabling us to become as followers of Jesus. It took us as leaders of Peace over a year to attempt to recast the vision of how God wants to shape each of us as His followers. We diligently prayed, discussed, engaged in discussions with people in our faith community and read books and articles in an effort to discover anew the purposes of God. We have passionately embraced a desire to become more and more like Jesus…to be discipled and to disciple others. We have attempted to communicate numerous times our desire to reflect the nature and character of God…a God we worship and serve…a God who uniquely revealed Himself in a "triune" manner…a God who created US in His image to do the same. It shouldn't be a surprise to you that many of the things that MOST faith communities are about has to do with purely the "UP" value. There's nothing wrong with that…unfortunately, over time, this value causes even the most faithful of communities to get inward, self-righteous and stuck. There are communities that emphasize the other values…each, without the others, leads to problems that can best be summarized this way – NOT being faithful to the call and mission of God. There are few events within the life of Peace @ Monroe that span and embrace ALL three values that capture the essence of who we are called to be as followers of Jesus. 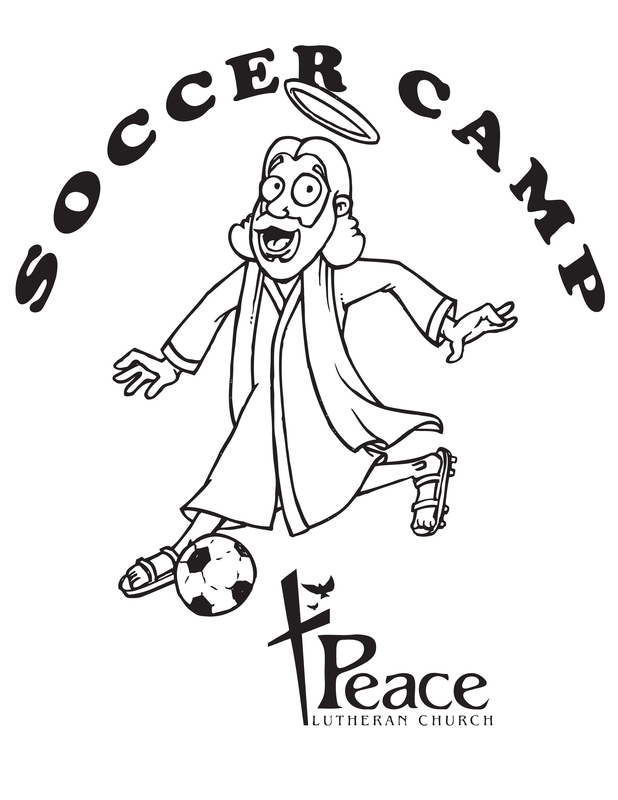 VBS/Soccer Camp is probably THE ONE "thing" we do where ALL THREE values are at play. Children gather for worship and study through bible verses and biblical/revealed/and personal TRUTH (Jesus) on a daily basis…children play together and build relationships with one another. The staff of VBS mentors children in what it means to "love" even in the midst of competition and stress. And finally, VBS/Soccer camp gives us as a faith community to embed ourselves deeply in our community for NO OTHER REASON than simply to love and give grace as we have been loved and "graced" by God. It is true – each of those values were lived out last week – we as a faith community faithfully lived what we have affirmed IS our identity. For that, I'm thankful! We worked with an adult staff of over 35 people – women and men who gave sacrificially of their time and talent to feed the kids…young adults and teens who daily gave of their time and energy to supervise and teach soccer to kids…and a leadership team that organized and administrated an event that has a "life" of its own. Over 30% of the children involved came from the Hispanic community in Monroe…word spread quickly throughout that community. So, that's the report I wanted to give you…as I stated above, we did something significant last week…in fact, it is as significant of an event as any worship experience or any other experience we do at Peace. It made me proud and humbled to know that we were living and acting as followers of Jesus…engaging the community and loving people WITHOUT expecting anything in return. It is that seed of God's love that will bear fruit…whether it bears fruit in "our garden" in terms of worship attendance, who knows. That's God's business…we are called to simply GO and be faithful and let the results be up to the Spirit. I'll stop with these words – you should have seen the faces of the children last week when they held out their hands and hearts and simply received…whether it was food, a gift or an expression of love! It was truly a miracle indeed! More thoughts on VBS/Soccer camp soon…but for NOW, Video action! Logo by my uber-talented son-in-law Kelly! Concept originally given to me by uber-passionate friend and brother in the Lord, Zac. Music ripped off from a variety of sources…videos by Phil Vischner and the "What's in the Bible?" gang…Leonardo the Duck? He's an entity to himself. All the people who are making this year's journey possible – wow! From Minte and her partnership with Youth for Christ and the numerous hispanic teens and kids who are joining our Camp to all the teens and adult friends who are joining us to bless children with God's love. All I know is this – when I arrived at Peace in Monroe, VBS had been averaging 20 kids…this year, we'll have over 100 not including over 30 adult/teen staff. Praise God! So, as a means of full disclosure, NO posts this week…more to come next week! I'll fill you in! Making a decision based upon some encouragement – Device-Free Fridays! Technology rules the day…I'm using more and more of my computer on a day to day basis. I think if I were to add up the time on it daily I would guess around 6 to 7 hours and that may be a HUGE understatement. I have my iPhone clipped to my waist…it goes off all the time not just with phone calls but various "alerts" of new texts, Facebook posts, and other alerts that I have programmed into the phone. I have a Kindle and all my fiction books as well as my One Year Bible is loaded on that…I read it (or better yet, use it) every night. Oh, and I also picked up on iPad. Yep, so now I can do all sorts of stuff with that piece of technology (and, I may add, an amazing piece of technology it is). In 2009, tech was gobbling up an average of 12 hours a day for the "normal" college student…other studies show that out of the waking hours that every person has over 50% is spent on some sort of technological "gadget." Yes, and I'm proud to say that my lifestyle completely reflects those statistics. In some cases, I wouldn't be or should I be apologetic for much of this use of technology…so much of my work and time NEEDS to be spent on technology. I use social media for good reasons relationally…I use technological tools to communicate with our faith community and friends…and let me not forget how easy it is to keep up with my wonderful spouse and kids with a cell phone, facetime on my MacBook Pro or iPad. So technology can be and is good…but there is a dark side of technology as well. 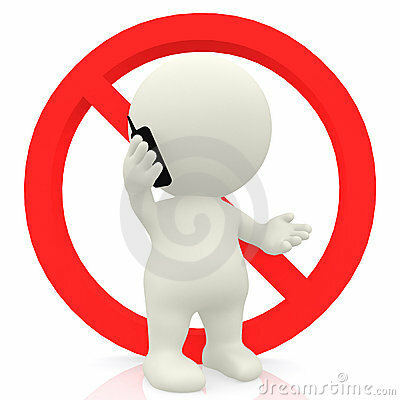 It seems like over time my "insides" jump as I hear alerts, ring tones, etc. I've been conditioned (like Pavlov's dogs) to respond to technology's beckon call. So, as a means of attempting to "fast" one day per week, on the advice and encouragement of Vicky, I'm declaring Fridays (my day off) "Device Free Fridays." What I'm going to do is this – do my best to ignore the alerts, rings, posts, keyboards, etc. of my various devices so that I can nurture some sort of quiet in my soul. Maybe you have the same problem I do…maybe you need to check out what it means for you to be SOOOO connected you have no time to simply rest in "device free" peace. It used to be (in eras that have long passed) that telephones were wired to a wall and a person could walk away from technology relatively easily. I can remember being places where I couldn't check any messages, etc. because there were NO SUCH THINGS…we had to simply rely on people and situations catching up to us over time. There was a bit of freedom in that…our lives weren't run by the devices. Well, maybe we all need to find time to slow down a bit. Yep, I got some loving encouragement to do this…but it is a decision well worth my sharing because of its potential power and wisdom. I have mixed feelings about this video…how about you? I'm a HUGE fan of the biblical scholar Scot McKnight. I have a "small" bit of history personally with Scot in that when I was leading the Youth Leadership Institute at Azusa Pacific University we hosted Scot for a talk with our students. He is a great guy…humble, articulate, personable along with a great academic. Anyway, I follow Scot's blog (Jesus Creed). I don't know how he does it but he has a MINIMUM of three posts a day. Of course, he's a professor full-time…which means he has a completely different lifestyle then those of us with "regular" jobs (sorry Scot…had to take a small shot at academia…of course, I'm a professor too but I also have a REAL job – if you call being a pastor a real job). Enough of that – ON to the point of this post. Scot posted a video produced by Francis Chan's ministry – in the video, Francis talks about "aging" and older people who are Christ followers. Because of the fact that I am in community with a bunch of elderly people (and NO comments about my age), I took notice. Why don't you watch it and tell me what you think…I don't know why when I viewed it for the first time I had mixed feelings…but I'm going to give it another look, think about it for a couple of days and then I'll post some thoughts in a day or two of my own. Thanks Scot and thanks Francis for opening up this topic…much needed conversation!